After the Show: It's NOT Over When it's Over! It is the end of March, and the Marketplace Events spring home show season is winding down. With only one more event on the spring schedule, the Central Florida Home + Garden Show at the Orange County Convention Center, April 4-6, 2014. Remember, "it's not over when it's over." Make sure all your post show follow-up work is completed on a timely basis. Information and samples should be sent to those who requested them within two weeks of the show's conclusion. According to the CEIR Center for Exhibition and Industry Research, 80% of exhibitors DO NOT follow up with show leads. In addition, a survey conducted by the University of Massachusetts Center for Marketing Communications showed only 43% of prospective buyers receive material they requested after they have already made a buying decision. Another 18% never receive the material at all. 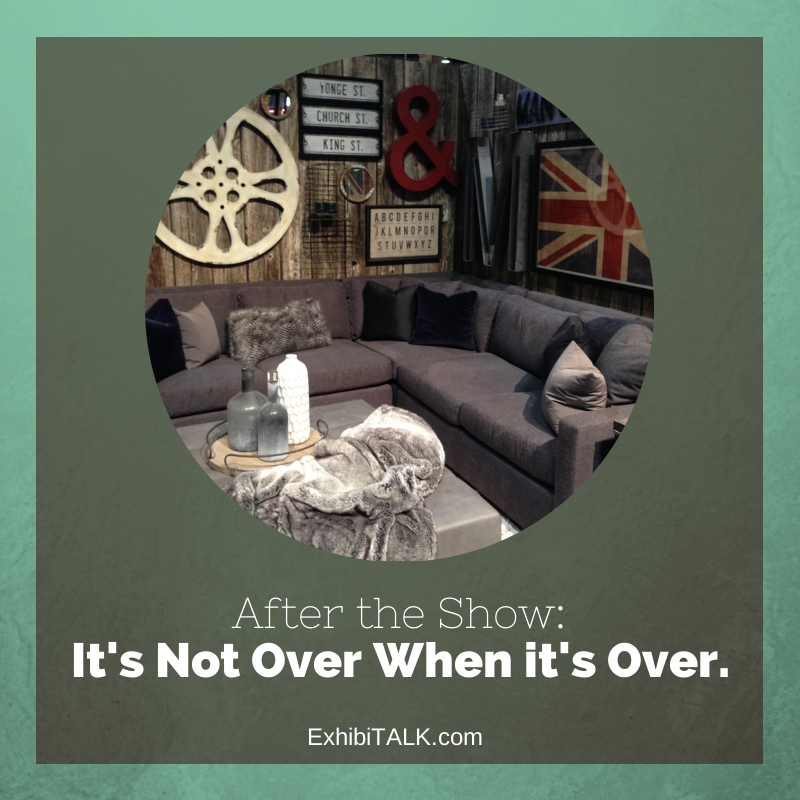 Backing up these statistics, the home show office's regularly receive post show calls from buyers trying to connect with exhibitors that did not follow up with their inquiries. We also see many emails sent through the exhibitor listing tool requesting brochures and information for a second time. Follow-up actions and responsibility should be assigned to specific individuals on your team. At the end of 30 days, many companies request a summary from those team members listing the status of each lead including whether it has been converted to a sale, or is still pending, and what the next steps are. This process ensures that all sales leads are handled properly. Continue to monitor the progress of lead conversions. Your staff may already be working on new opportunities from other sources, and consequently, may view the show leads as already stale. However, every lead should be pursued as a potential sale! In addition to those prospects who were "very interested" or were "ready to buy," don't forget to follow-up with those attendees who only had a question, complaint, or comment. This gives you an extra opportunity to reinforce the positive benefits (time or cost savings, for example) of using your product or service. Everyone that entered your exhibit did so for a reason. A short note or small product sample may turn someone with a question into a customer ready to buy. Also remember those attendees you wanted to see who didn't make it to the show. A quick email or phone call reminding them about your company, maybe including a video or pictures of your booth, and extending any show specials can go a long way in creating a new customer.